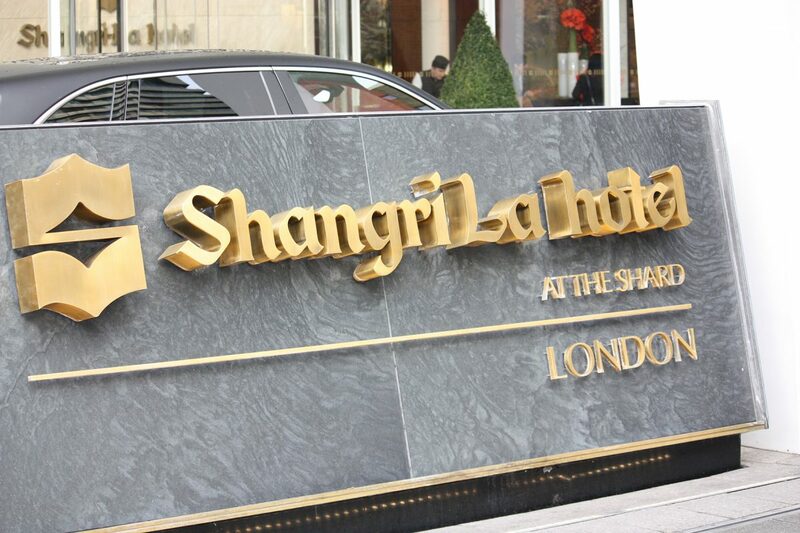 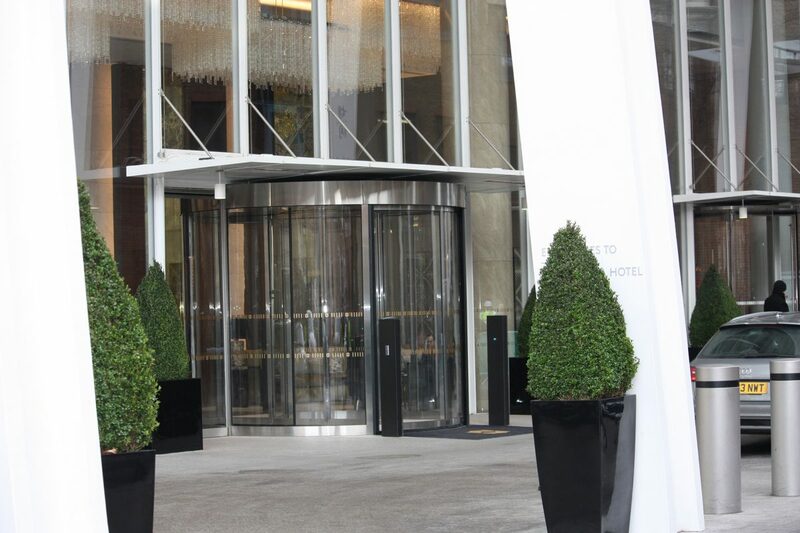 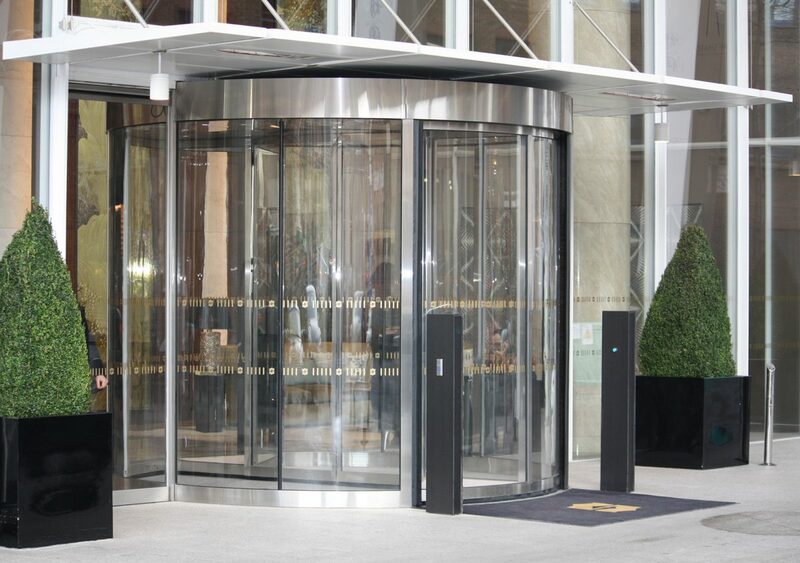 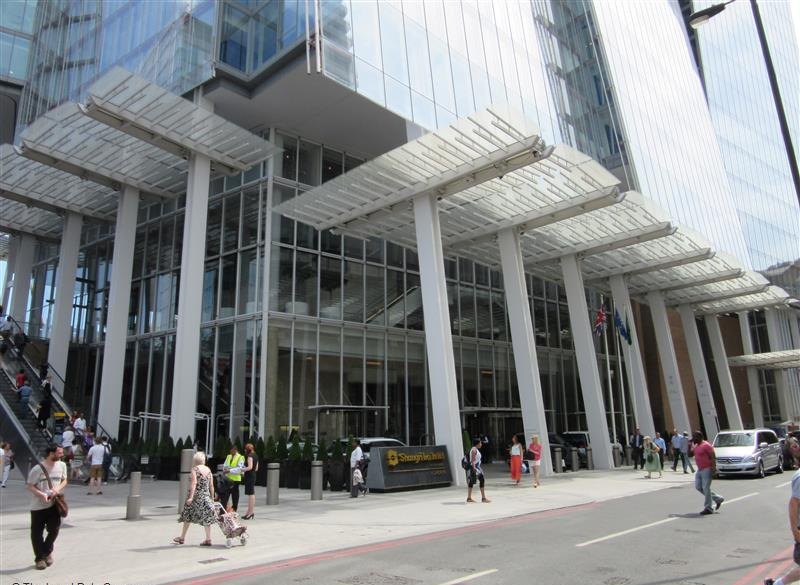 Given the prestige of the project, the architect’s choice for the Shangri-La hotel main entrance was the KA021 revolving door from EA Group UK Limited. 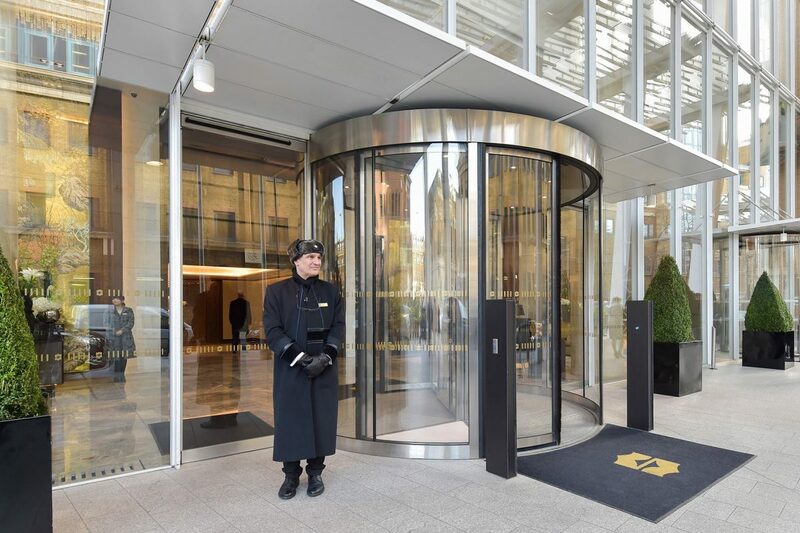 At 3.6 meters in diameter and featuring both revolving and sliding door functionality, the KA021 door has been designed to accentuate the splendor of the entrance to the Shangri-La, one of the worlds most opulent and exclusive hotel brands. 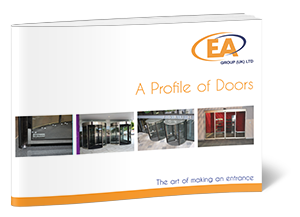 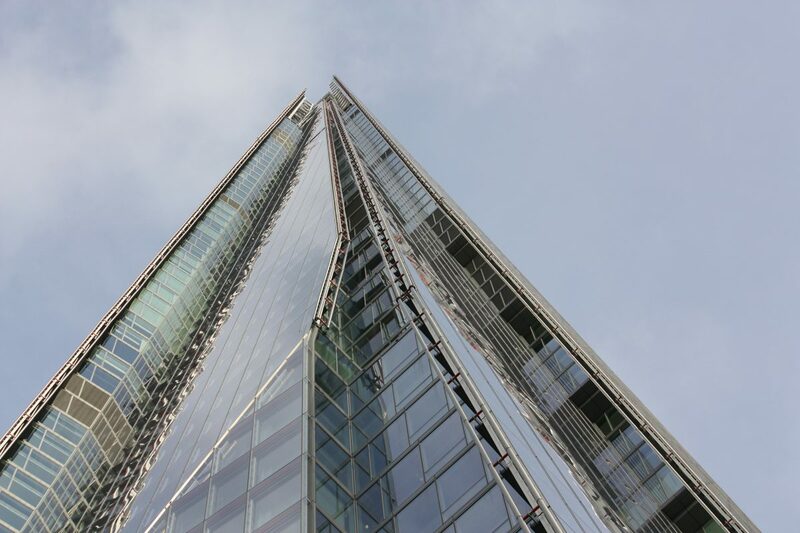 Once again under the spotlight of a prestigious major construction project, EA Group proved that the knowledge and technical abilities of their team were able to deliver the revolving door package on time and on budget.